How can I limit what kind of files an applicant can upload? – How can we help you? SmarterSelect allows for unlimited uploads of file attachments to applications. Your applicants may upload any file type to a single Attach File question. 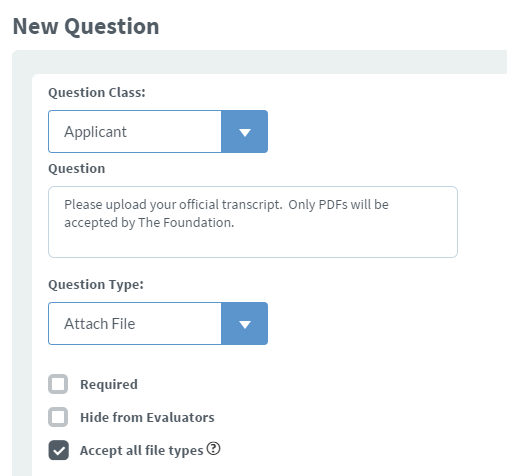 To add an Attach File question, simply create a new question and select "Attach File" from the Question Type drop-down. Only one file can be uploaded per Attach File question.